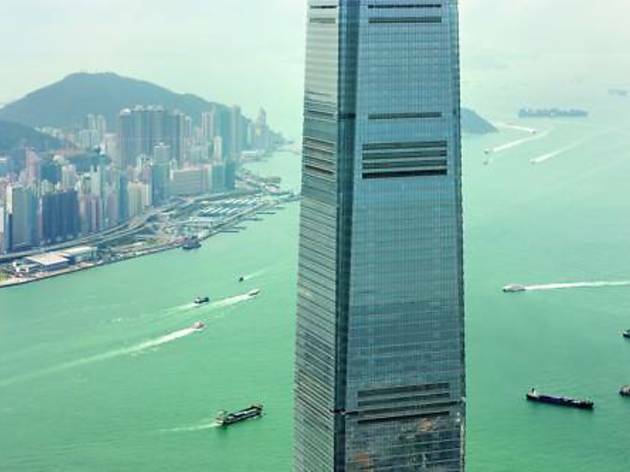 Sky-high luxurious rooms with free Wi-Fi are located on floors 102 to 118 of The Ritz-Carlton Hong Kong. 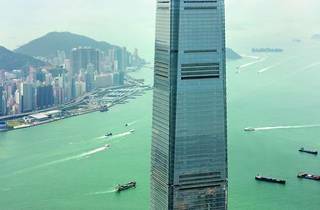 Towering over Victoria Harbour, it boasts the highest bar in the world and 5 restaurants including 2 Michelin Star restaurants. The Ritz-Carlton Hong Kong in the International Commerce Centre is directly located above Kowloon Station along the Airport Express Line. It takes 20 minutes to Hong Kong International Airport and is a short 3-minute train ride from bars and restaurants at Central. Tsim Sha Tsui shopping arcade is only 10 minutes' taxi ride away. Offering panoramic views of Victoria Harbour from its large windows, each room offers comfortable beds covered with 400-thread count linens and feather pillows. The private bathroom comes with a separate rainshower and a bathtub. A flat-screen TV, Blu-ray DVD player, iPod dock and Nespresso machine are all included. Even without going out, guests will be spoilt for recreational choice with a pampering massage, a heated indoor pool and well-equipped gym. Added convenience is provided with laundry and concierge services. Awarded with One-Michelin Star, Tosca Italian restaurant serves innovative Italian menu. Two-Michelin Stars, Tin Lung Heen restaurant serves authentic Cantonese cuisine. Almas Caviar Bar offers a luxurious pre- or post-dinner rendezvous serving an ultimate selection of the world’s finest caviar. All-day dining, buffet lunch and dinner as well as afternoon tea are available at Cafe 103. Guests can also enjoy a wide selection of buffet breakfast, organic salad bar for lunch, traditional afternoon tea, a la carte menu for dinner, and dessert buffet at The Lounge & Bar. Beautiful views of Victoria Harbour as well as refreshing beverages and tapas can be enjoyed at Ozone, the highest bar in the world.